Sisters Anice Vattukulam and Suman Dungdung accompanied pre-novices as they visited the neighboring SCN community in Madiwala, Bangalore, on March 17. 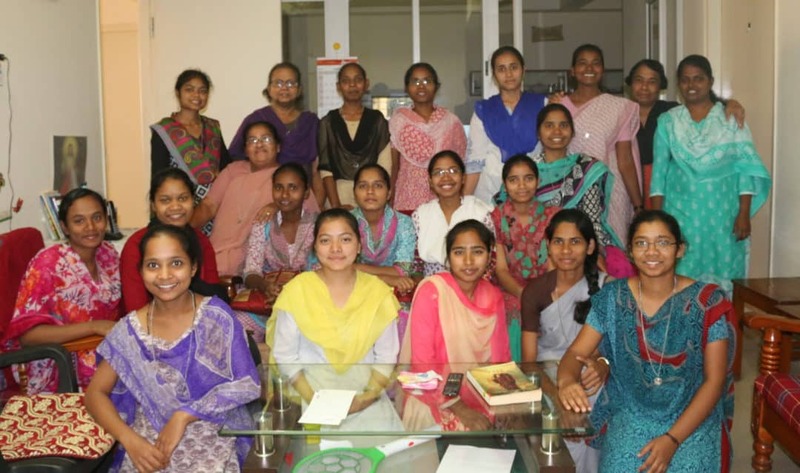 These young women will begin their annual retreat on March 18 after which they will proceed to visit their homes prior to entering the novitiate in Mokama. Sisters in Madiwala were delighted to be their hosts for the day. God’s abundant blessings are wished upon them. My prayer is with you on the journey of formation!